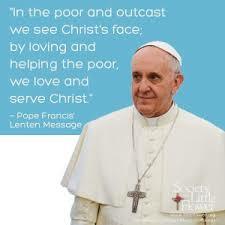 Meanwhile, today’s papal agenda will be very busy. 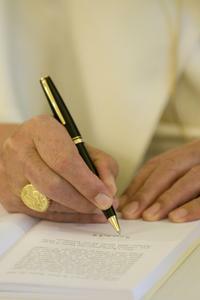 Will be signed and published the Motu Proprio with which Benedict XVI will change the Apostolic Constitution Universi Dominici Gregis to allow a faster start of the conclave, than the 15 days provided for the start of the “sede vacante” (in this case, 20.00 on February 28). 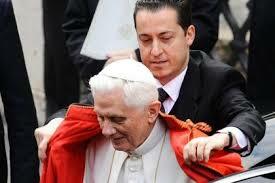 Today Benedict XVI receives in audience "some cardinals," as already stated in the official bulletin of the Holy See. 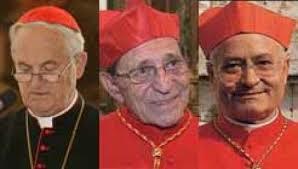 In reality, these are the three cardinals appointed by the Pope in April 2012 to investigate the leak of the documents from the various historical palaces of the Roman Curia - Cardinals Herranz, De Giorgi and Tomko - that on December 17 last year have delivered the now famous "dossier-shock" where there would be contained reconstructions of electrifying internal affairs beneath the leonine walls of which the Gabriele-case (the butler convicted and then pardoned) would be just the tip of the iceberg. The contents of the cardinals’ findings will not be revealed, since it is covered by the pontifical secret, but the document will be delivered by three cardinals to the future Pope.